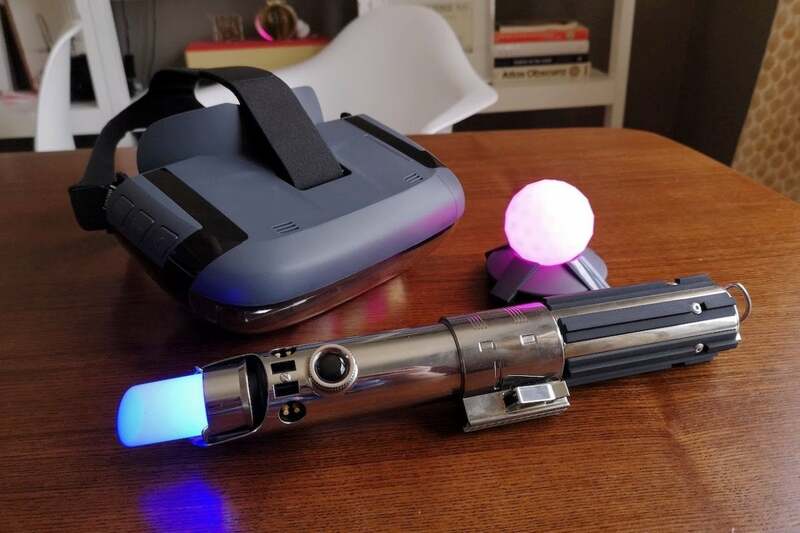 If you’ve ever dreamt of being a Jedi Knight, here’s something better than simply swinging around a plastic lightsaber toy—now you can wield a plastic lightsaber that pairs with a headset, letting you battle against familiar Star Wars villains in the comfort of your living room. 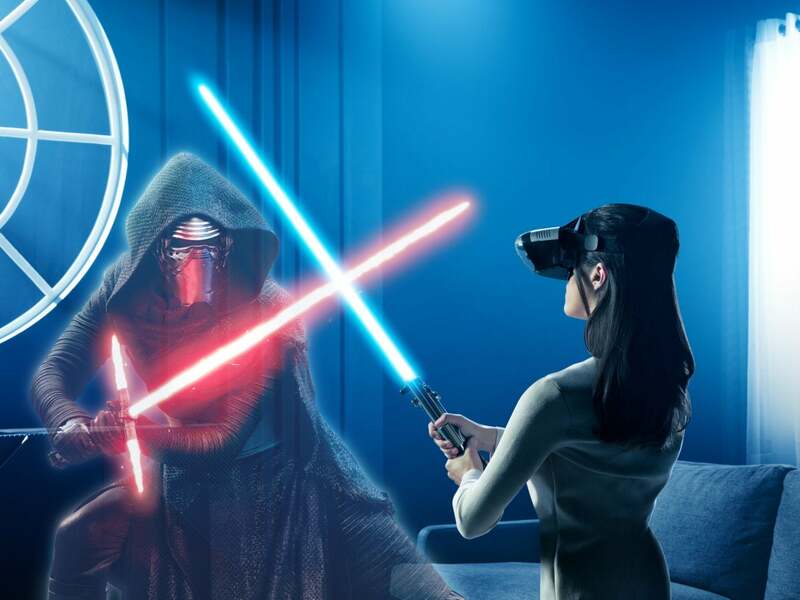 Lenovo’s Star Wars: Jedi Challenges is an augmented reality experience that is powered by the iPhone 6 or newer and compatible Android flagship smartphones (list here), which slide into the headset and provides the visuals. This isn’t virtual reality, however: You’re not shut off from the outside world while playing, since the images on the phone screen are mirrored and projected onto a translucent plastic visor in front of your eyes—and thus, atop your real surroundings. We've previously called it one of our top picks for Star Wars fans. Your phone sits snugly in a tray that slots into the headset, providing the brains of the operation. Once you’re plugged in and looking through the visor, your motion-sensing lightsaber controller gains a digital blade you can use to duel the likes of Kylo Ren and Darth Vader, and even the red armor-clad Praetorian Guards from Star Wars: The Last Jedi. Emerging victorious in battle requires a mix of defensive stances, well-timed strikes, and the occasional Force power attack, and the skirmishes can be surprisingly challenging. They also look pretty slick, with fluidly-animated 3D rivals in view. Jedi Challenges packs in a couple of other AR games, as well. One mode plays out like a real-time strategy game, in which you’ll place down turret towers, soldiers, and Jedi warriors onto a battlefield from an overhead view. That’s solidly compelling. On the other hand, Holochess—the iconic, holographic chess-with-monsters board game from the original film—proves pretty dull in this rendition, allowing for little in the way of tactical strategy as you command pieces. Enemies don't feel quite this imposing thanks to the limited field of vision, but at least this mockup image is thematically on point. But while Star Wars: Jedi Challenges shows off the power and potential of AR gaming, it also shows that there’s still some ways to go in terms of refinement. You’ll have four different battery-powered pieces to keep powered—the headset, lightsaber, light-up tracker, and your iPhone—and getting up and running can take a few minutes of setup each time. Furthermore, while the headset is thankfully roomy enough to accommodate glasses, the heft of my iPhone X had it sagging awkwardly on my face no matter how much I fiddled with the straps. And sadly, the lightsaber tracking is inconsistent: After a few frenzied swings, you may see that the digital blade is no longer coming straight out of the controller. You can hold the lightsaber straight ahead and press a button to readjust the image, but having to do that several times during a battle takes you out of the experience. Playing Jedi Challenges feels like playing some of the camera-driven Xbox Kinect games from a few years ago: when the tech is responsive and works exactly as intended, it can be a lot of fun. When it doesn’t, the illusion breaks. Luckily, Star Wars: Jedi Challenges hits more than it misses. 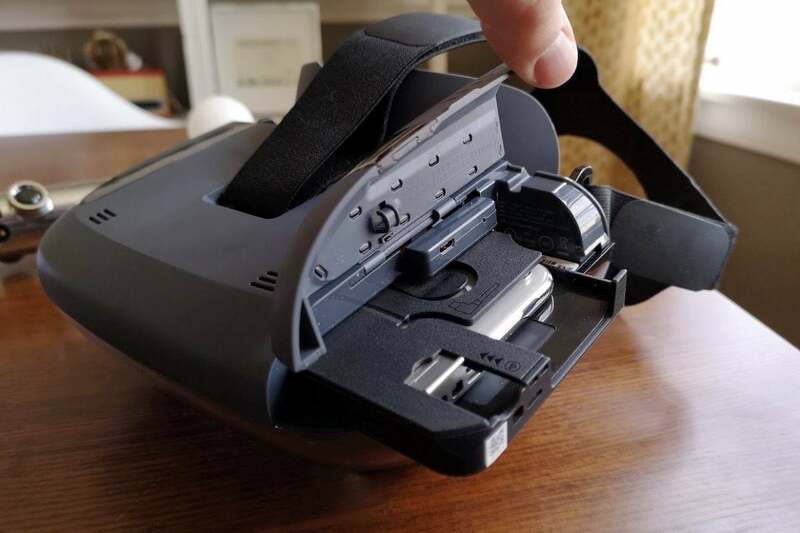 Despite its technical hitches, Lenovo’s AR bundle is a novel and entertaining digital-meets-physical experience for franchise die-hards. At the new lower MSRP of $150, it’s still a bit pricey for a gaming package that’s strictly about Star Wars, so casual fans can safely steer clear—but if you can stomach the investment and deal with some annoyances, Jedi Challenges really is rather cool.